Bump stocks are stupid, but a bump stock ban is even more stupid. Bump stocks are completely impractical devices. They just are. They reduce your accuracy by a wide margin and it’s possible to shoot faster with your finger than a bump stock. On top of that, it’s possible to simulate a bump stock using a belt loop, a stick, a piece of string, a rubber band, or most anything else. A bump stock ban does nothing to save lives. Why doesn’t it save lives? Because you don’t need a bump stock to shoot fast and accurate, nor do you even need a bump stock to bump fire. You can use a piece of string, dowel rod, or even a rubber band to bump fire. Banning bump stocks doesn’t stop bump fire since the exact same thing can be replicated with just about anything else, even just your bare finger! But a bump stock ban does open the door for more gun control in the future. A bump stock ban that bypasses Congress opens the door for an anti-gun President to ban whatever he wants. The next thing that will be banned can be things such as a muzzle device, pistol grip, aftermarket trigger, and more. Essentially this bump stock ban gives the next anti-gun president the blueprints for a full on “Assault Weapons Ban” through executive order. Both the Firearms Policy Coalition and Gun Owners of America have filed lawsuits against the bump stock ban. The two lawsuits make MANY thorough claims such as how it’s against the 2nd Amendment, how it is an abuse of power, you don’t need a bump stock to bumpfire, and other arguments. Jerry is just one example to illustrate how banning bump stocks doesn’t actually do anything since people can replicate bump stocks with other things or even just their finger. The firearms community has joked about using Jerry as an example in a court battle, and now it’s actually happened. Here’s an excerpt from the Firearm Policy Coalition’s lawsuit concerning Trump’s Bump Stock ban. 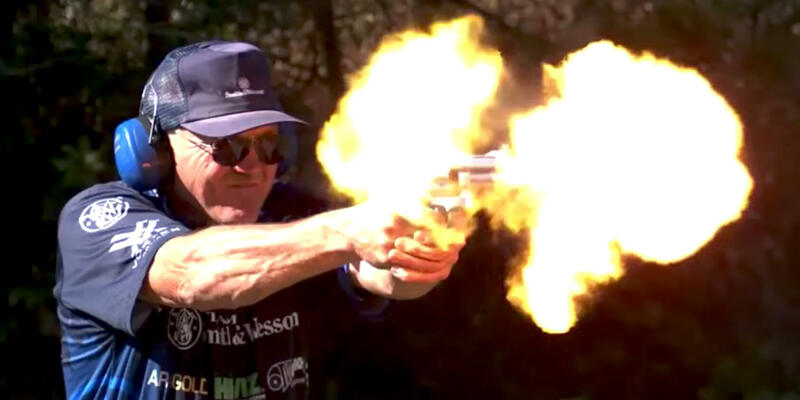 To put the absurdity of ATF’s argument in perspective, a look at competitive sport shooter Jerry Miculek is necessary. 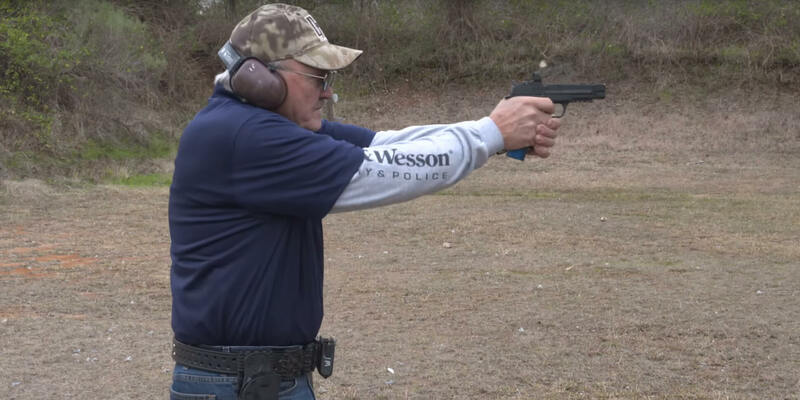 Mr. Miculek not only can shoot faster than an individual employing a bump-stock-device but can shoot far more accurately. 59 Even more evident of the completely arbitrary and capricious nature of this proceeding is the video compendium of Mr. Miculek’s abilities and achievements, which depicts that “he did it. He did 8 rounds in one second, on one target. He did 8 rounds on four targets in 1.06 [seconds]. 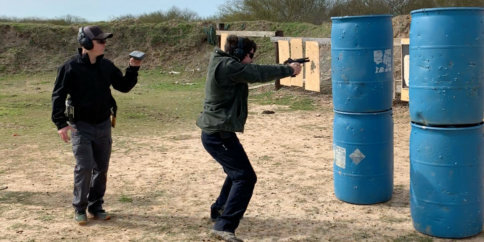 Six shots and reload and six shots in 2.99 seconds.” 60 Thus, as individuals can achieve, with greater accuracy, faster cyclic rates than those utilizing bump-stock-devices, the underlying premise of this proceeding is completely arbitrary and capricious. 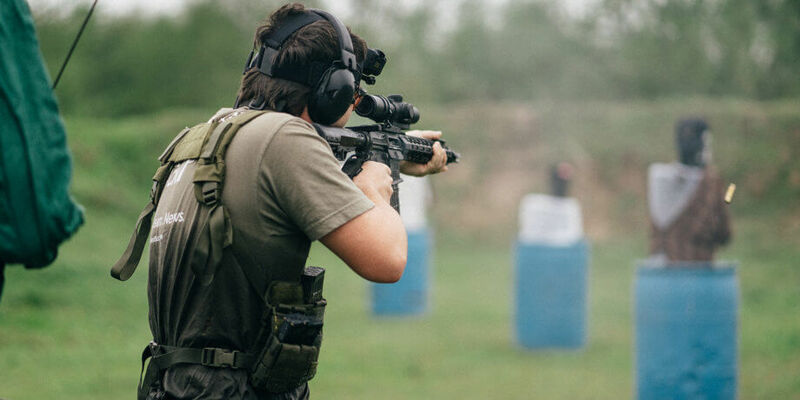 To the extent ATF contends that it was carrying out some unverified and unsupported contention of Congress to ban anything mimicking the rate of fire of a machinegun 61 (83 Fed. Reg. 13447) – a rate of which varies greatly 62 and neither has a commonly accepted average rate nor a proposed rate by ATF – Mr. Miculek would seemingly be looking at some potential legal issues, in violation of his Constitutional Rights and reflecting the sheer absurdity of this final rule. There are many reasons not to ban bump stocks – most of those reasons are better than this one. I just find it amusing (and sad) that the meme about banning Jerry’s trigger finger has actually made it into a lawsuit. The point made using Jerry as an example is simple, the rate of fire is not a component of what defines a machine gun. It is possible to use a normal finger to surpass not only a bump stock, but an actual machinegun. So if rate of fire is what defines a machinegun, then all semi-autos get banned, starting with aftermarket “light” triggers. The above quote is from page 33 of a 48 page document full of arguments by the Firearms Policy Coalition against the bump stock ban. The entire lawsuit is worth a read, or at least a skim. You can read the full bumpstock document here. Jerry is a beast, and he isn’t the only one capable of shooting feats at this level. 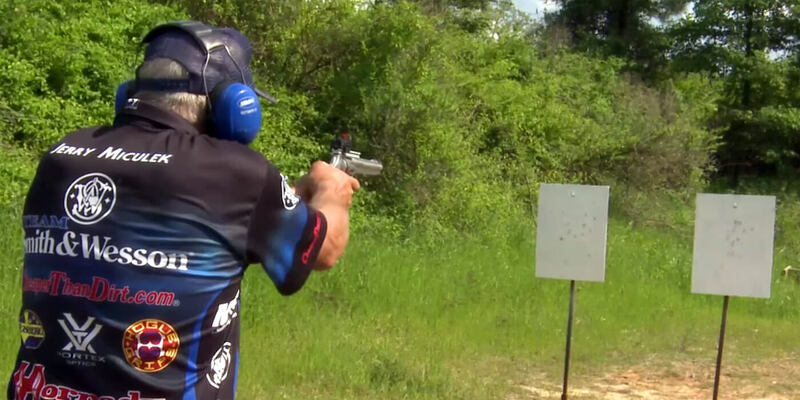 Jerry finally got around to trying out bump stocks in a recent video. (This video even mentions this article!) He plays around with them and compares them to a semi-automatic AR-15. He even puts them on the clock through a drill comparing the two rifles. 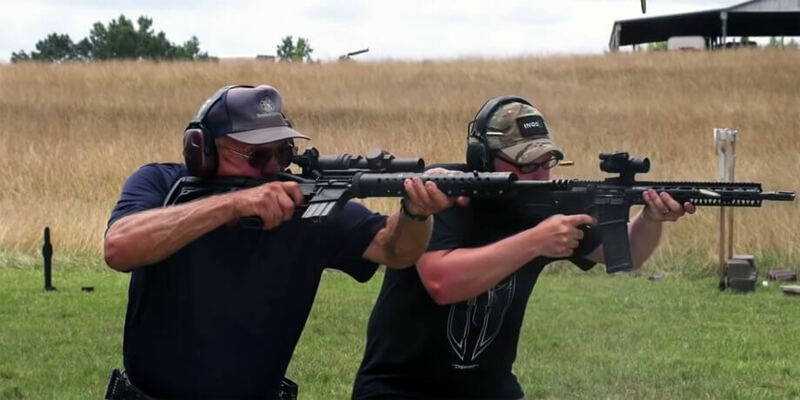 Here’s a hint – a standard rifle soundly beats the rifle with the bump stock. Not all supposed pro-gun groups fight for our rights. So please donate your money to pro-gun organizations that fight hard for our rights. 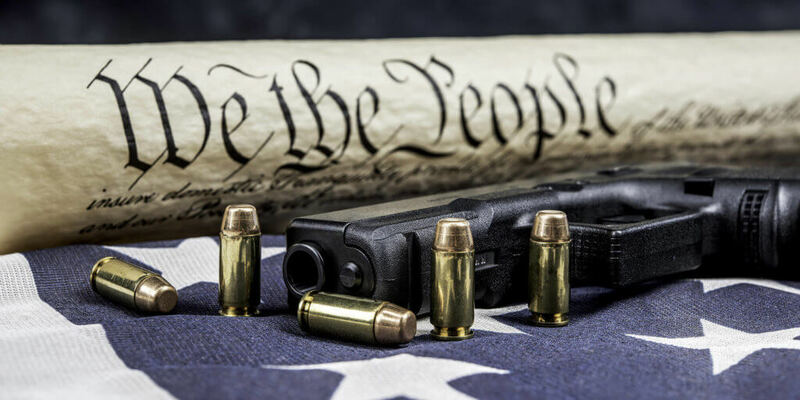 The Firearms Policy Coalition and Gun Owners of America need our help if they are to win this critical battle for our 2nd amendment rights. Sharing! Thanks for the great info! Fully automatic weapons & much more are protected by the Second Amendment, as well as bump stocks! SHALL NOT BE INFRINGED!